Duchess Meghan wears high heels far into pregnancy. Dangerous or more power to her? Meghan, the Duchess of Sussex, is due to give birth to her first child next month and she is still rocking heels... high ones. She wore two different pairs of high heels to two events Monday as she stepped out with Prince Harry to mark Commonwealth Day. Meghan, Duchess of Sussex and Prince Harry, Duke of Sussex attend the Commonwealth Service on Commonwealth Day at Westminster Abbey on March 11, 2019 in London. Prince Harry and Meghan, Duke and Duchess of Sussex, leave Canada House after having attended an event to mark Commonwealth Day, March 11, 2019. Meghan, 37, has worn heels at nearly all of her official events during her pregnancy, including her trip in February to Morocco with Harry. 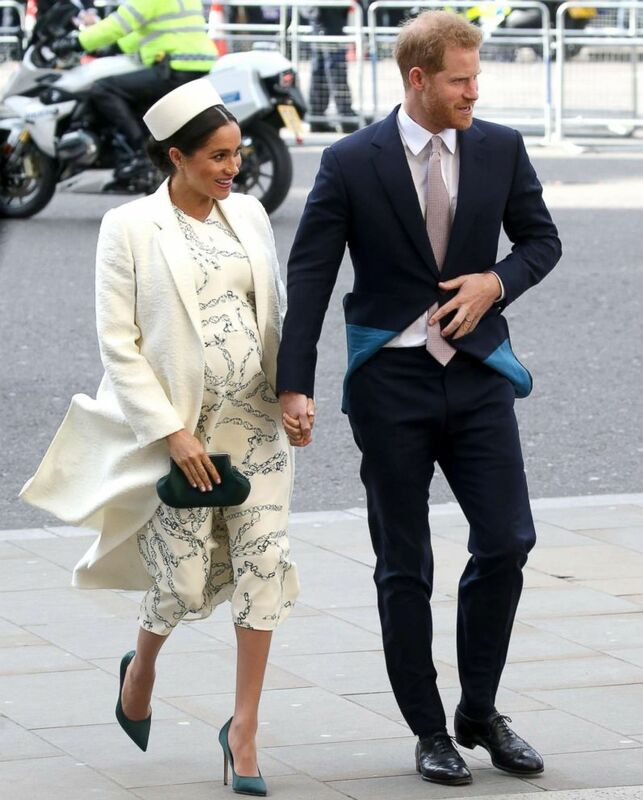 Many on social media have not surprisingly chimed in about Meghan’s pregnancy fashion choice. "Poor Meghan. My feet hurt for her!," read one comment below Kensington Palace's Instagram post of photos of Meghan on Commonwealth Day. "Those heels! Poor woman," wrote another person. While wearing high heels may not be something all pregnant women want to do, there is no medical reason not to, according to Dr. Laura Riley, chair of obstetrics and gynecology at Weill Cornell Medicine and New York-Presbyterian in New York City. "There are no guidelines," Riley told "Good Morning America." "It comes down to comfort and common sense." Meghan, the Duchess of Sussex, arrives at King's College to join a panel discussion convened by The Queen's Commonwealth Trust to mark International Women's Day in London, March 8, 2019. The comfort part of the equation comes if a pregnant woman is experiencing back pain or hip pain or "general discomfort" during their pregnancy, especially as they get closer to their due date. In those cases, wearing high heels is not going to make the pain any better, according to Riley. "We usually tell [pregnant] women to wear comfortable shoes," she said. A woman's balance also changes during pregnancy, according to Riley. Due to that and carrying more weight on their body, walking in high heels may not be as easy and may possibly be dangerous for some pregnant women. "The last thing you want to do is trip and fall because that can be dangerous, especially if you fall and hit your baby," Riley said, adding that pregnant women need to think about "minimizing risk and maximizing comfort." The American College of Obstetricians and Gynecologists (ACOG) says on its website that high heels can further shift a pregnant woman's balance forward and "make you more likely to fall." The college advises women to "wear shoes with good arch support" in order to ease back pain. For someone like Meghan, who is a former actress and used to walking red carpets in high heels, wearing high heels in pregnancy may be comfortable and that's fine too, Riley noted. "If she’s not having any of the symptoms, then there is no reason to change her behavior," she said of the duchess. "Good for her and I think she looks awesome." 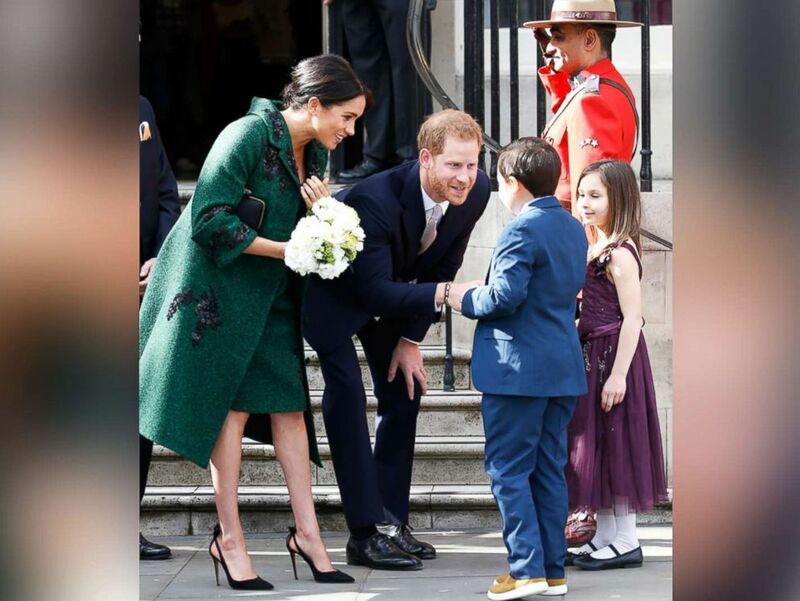 Riley also pointed out that the public only sees snippets of Meghan's life at official events where she is wearing heels. She also applauded Meghan for holding onto her individual style during her pregnancy. "Personally, I always think it’s important to look good while you’re pregnant, because if you look good, you feel good," she said.